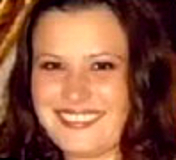 Kelly and her husband, Jake, were last seen on September 23, 2007. They left Miami Beach in Florida in Jake's 47-foot fishing vessel, the Joe Cool, with Jake's half-brother, Scott Gamble; a friend, Samuel Kairy; and two others, Kirby Logan Archer and Guillermo Zarabozo. A photograph of the Joe Cool is posted with this case summary. Kelly and Jake have two children together. Jake is described as an experienced, very capable seaman. An extensive search of the ocean did not turn up any of the victims' bodies. Foul play is suspected in Kelly, Jake, Gamble and Kairy's cases due to the circumstances involved. Updated 5 times since October 12, 2004. 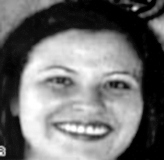 Last updated November 18, 2013; two pictures and date of birth added, details of disappearance updated.